يقع في بيالبا, Beachside Motor Inn إنه المكان الأنسب لاكتشاف خليج هيرفى و ما يحيطها. لا يبعد الفندق كثيراً عن مركز المدينة، فهو يقع على بعد 3.0 km منها. في حين يستغرق الطريق منها إلى المطار حوالي 12 دقيقة. إن سهولة الوصول من الفندق إلى المعالم السياحية الشهيرة الكثيرة في المدينة كمثل Le Petit Chocolatier, حديقة ويتسايد المائية التعليمية, ‪Hervey Bay Regional Gallery‬ هو استثنائي بحد ذاته. إن Beachside Motor Inn حريص على توفير الراحة للنزلاء، فلا يوفر الموظفون جهداً في تقديم أفضل الخدمات وضمان حسن الاستقبال. يقدم الفندق واي فاي مجاني في جميع الغرف, متجر, خدمة التنظيف يوميًا, خدمات بريدية, خدمة سيارات الأجرة لضمان الراحة القصوى لضيوفه. يمكن للنزلاء الاختيار من ضمن مجموعة من الغرف المصممة بعناية لتعكس جواً من الراحة، والتي يتجاوز عددها 16. سواء كنت من محبي الرياضة أو كنت تتطلع لتفريغ عناء نهار صعب، ستجد خدمات ذات مستوى عالي بانتظارك كمثل حديقة مائية, دروس في الركمجة, مسار جولف - ضمن 3 كم, حمام سباحة خارجي, صيد السمك. يشكل Beachside Motor Inn بخدماته الراقية وموقعه الممتاز، قاعدة مثالية للاستمتاع بإقامتك في خليج هيرفى. Parking at door of room is so convenient accessing bags. 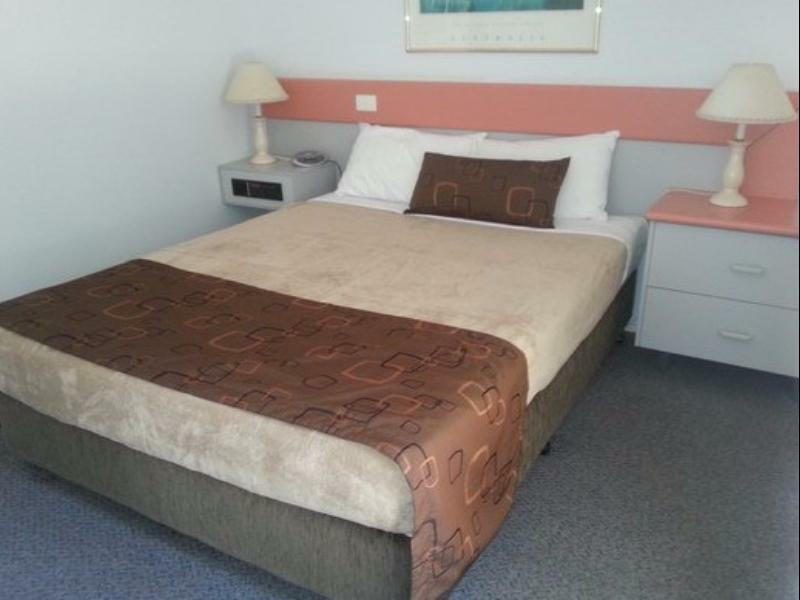 This motel is no frills but good value for money and clean. This hotel is very convenient to water park and Seafront Oval which often holds events. Cheap clean accomodation. The decor is dated but our room was very comfortable & quiet. Would definately stay there again Staff are all very friendlynade for an enjoyable stay. A little bit of age starting to take its toll but still satisfactory. The WiFi is hit and miss. Location close to the beach. Pleasant staff. We spent a night at the motel and were overall happy, apart from the internet connection failing shortly after 7 pm and not being reactivated until the following morning. 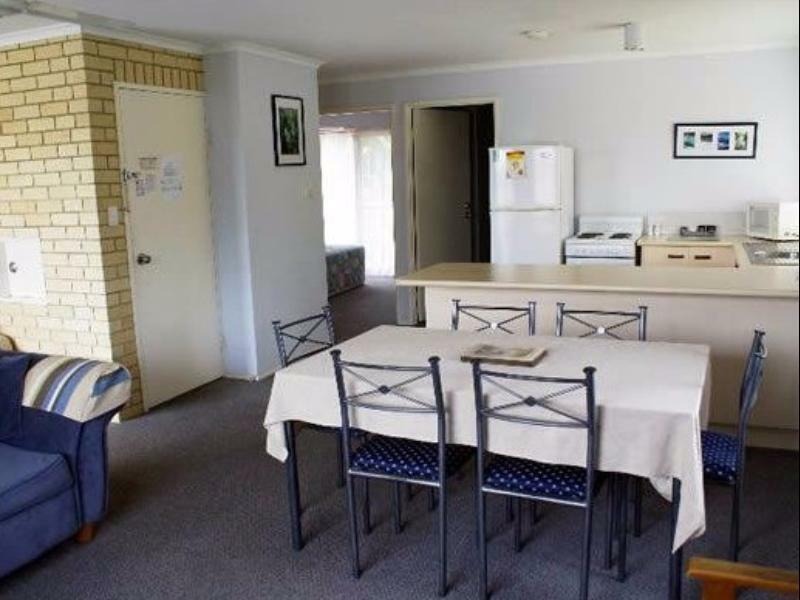 The location is very handy close to major shopping areas and just behind the beach. good enough for a short stay, room ok but needs updating. 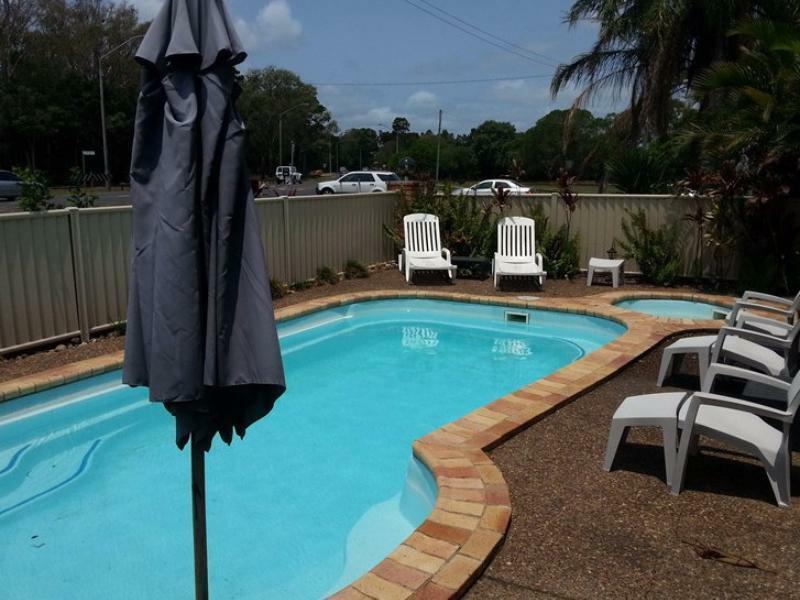 The hotel offers good value basic accommodation in Hervey Bay. Unfortunately, when entering the room, my son shouted out how it smelt like a wet dog - indeed, it did. It took a few hours of open windows and doors along with some air freshener to make the room acceptable. The old fashioned air conditioning was very loud. However, the room does have quieter fans above the beds. There were “off the main strip” restaurants and shopping facilities nearby. 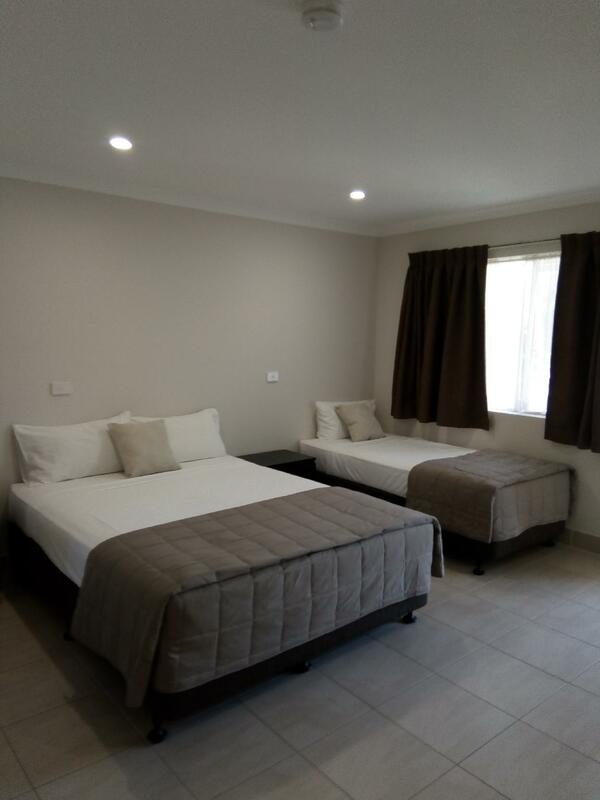 As a solo traveller, I mainly just look for a clean and comfortable room to finish up some work and get a good nights sleep. The Beachside Motor Inn provided that, as well as having a very friendly lady at check in who gave me a great recommendation for dinner as I was showing up late. The check in and check out was also very quick, which I enjoyed as I am usually tired after a full day on the road! Would recommend! the rooms in the beachside motor inn were spacious, modern and clean. there was a kitchenette and a big bathroom. the owners were nice and helped us to choose a tour to fraser island. they even booked it for us. also they could give us good advice where to have a good breakfast. value for money was good. Selten eine Unterkunft gehabt die do sauber war. Toaster, Messer, Schneidebrett, Besteck alles neu und sauber. Bequeme Betten, ganz nah vom Supermarkt und ein paar Minuten zu Fuss zum Wetside Aqua Park und Spielplatz. Super für Familien!